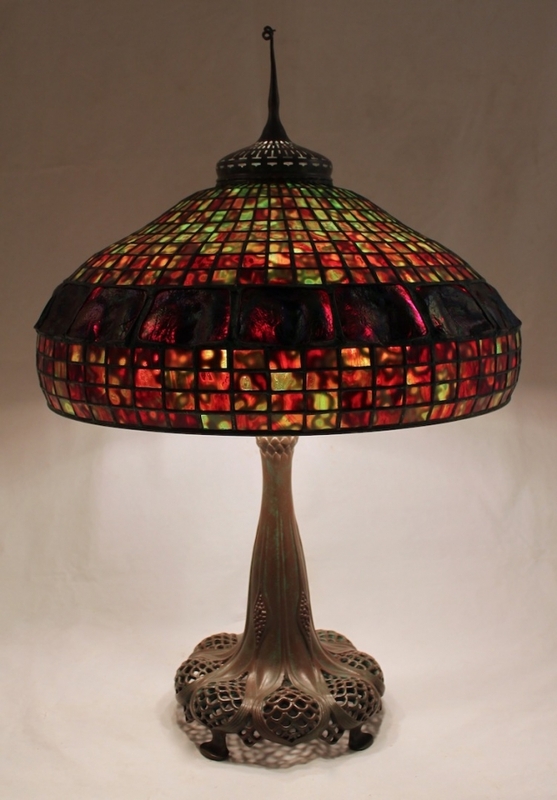 The geometric upper and lower portions of this 22″ Turtleback Turban shade are cut from heavily mottled, richly colored red & green glass. The band of hand cut turtleback tiles is made from very deeply toned black cherry colored turtlebacks. The overall effect is a shade with a dark, brooding personality. Made for a local client, this distinctive shade is shown on the popular Perforated base. The addition of the corkscrew “pigtail” cap adds the finishing touch to this large table lamp.